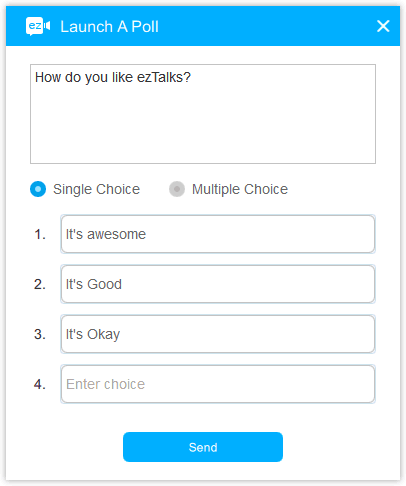 How to launch a poll with ezTalks desktop app? 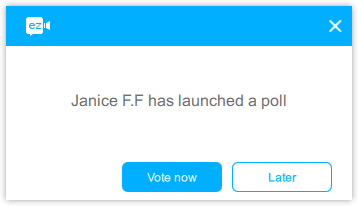 This article is about how to launch a poll on the desktop app. 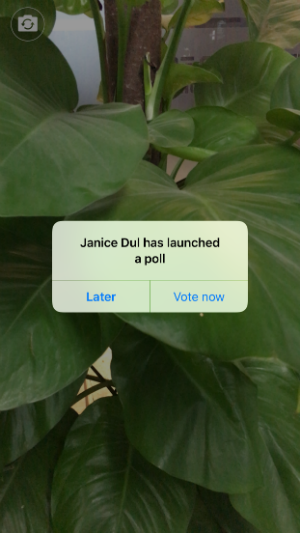 Learn how to launch a poll on mobile app. 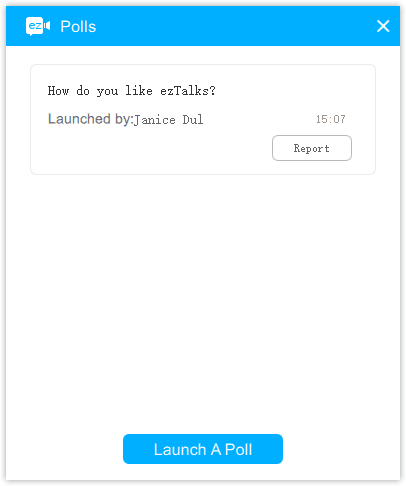 Step 1 Open the ezTalks app on your Windows or Mac computer and start a meeting. 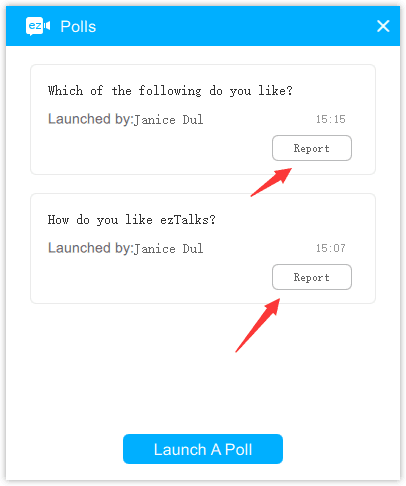 If you do not know how to start a meeting, please click here. 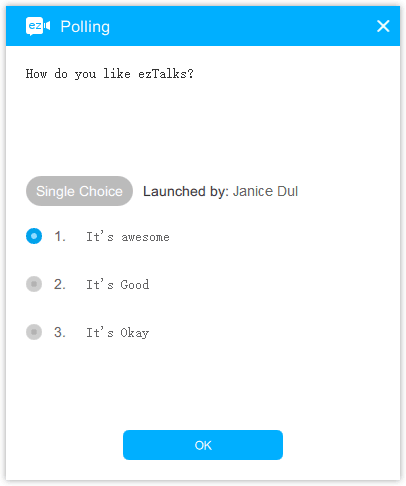 Step 3 Click on Launch A Poll, and there are two types of questions for polling. 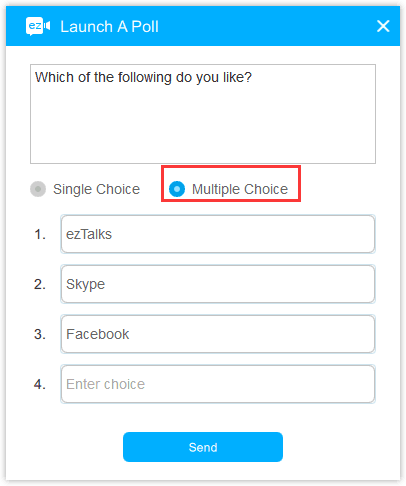 The first is single choice where attendees will only be able to select one answer.